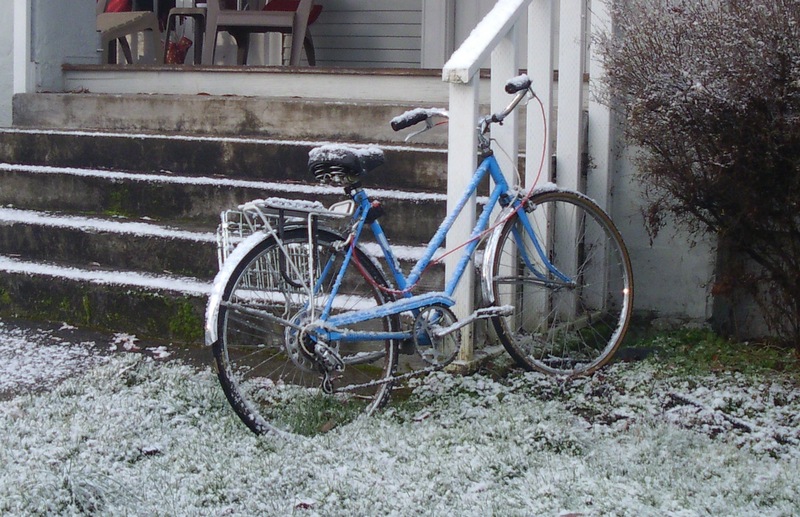 Well, it wasn’t much of a snow day, but you get a few Eugene Bicyclist bonus points if you biked to work today — there were a few treacherously slippery spots out there. Let a little air out of your tires for better traction. Chance of more snow tonight, I hear. We’ll see. Wow! 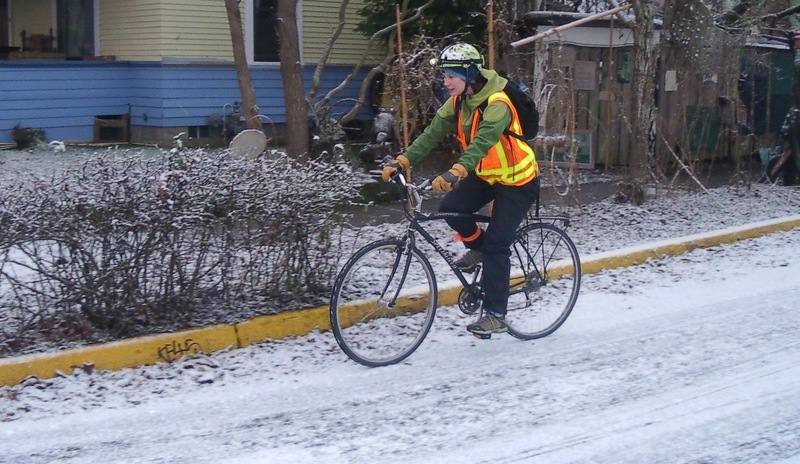 Kudos to fellow Eugene cyclists. did not come across any bad icy spots. Thanks for the reminder on the tire pressure. Bridges freeze before roadway. Be careful when you are going over culverts that don’t seem to be bridges like the stretch of Amazon Path near the skater bowl and dog park. These spots are icy even when the rest of the pavement is wet.